Unseasonal blooms… they call them crazy flowers. I called them a stroke of luck! Their fragrance is lovely… citrusy, like limes. 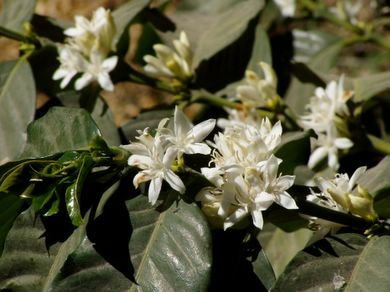 In season these blooms will cover the coffee trees like snow.